Denver, CO – July 14, 2012. The Invisible Disabilities Association (IDA) was honored to be the featured charity in July 2012 for the Mile High Society Project. Sponsor, Rachel Angel of Northwestern Mutual chose IDA to be the focus of the evening’s event held by Sponsoring restaurant, Coohills in Denver. 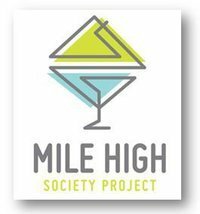 What is the Mile High Society Project? “Our goal is to repurpose the money spent on drinks and food into charitable donations for local organizations. Our monthly events will be held … at a different venue, with a different beneficiary each time” (Mile High Society Project website). Attendees met the Founder and President of the Invisible Disabilities Association, Wayne Connell and Executive Board Members, Steve Tonkin, Lynelle Lahey and Jeff Vankooten, learned about invisible disabilities and networked with other business professionals. It was a great evening of awareness and meeting new friends! A big thank you, goes out to Mile High Society Project, Rachel Angel of Northwestern Mutual, Coohills and all the amazing people who attended the event! The Invisible Disabilities Association (IDA) is a non-profit organization that has been encouraging, educating and connecting people and organizations touched by invisible disabilities around the world since 1997. IDA provides awareness, articles, pamphlets, booklets, radio interviews, videos, seminars, events, resources, an online social network and much more.